Can You Cook With the World's Hottest Chili? Can You Actually Cook With the World's Hottest Chili? 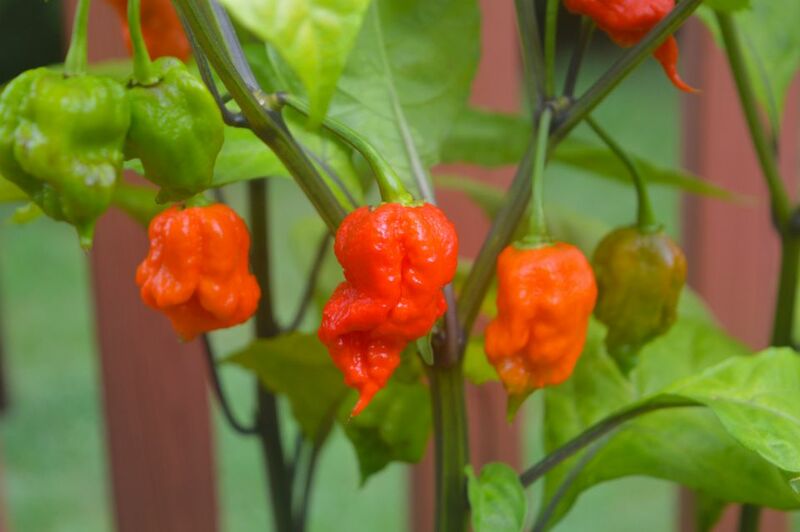 As of January 2019, the Carolina Reaper was still considered to be the world's hottest chile. The reigning king of peppers is a phenomenon with spicy food fanatics. Some of these people have not only been brave enough to bite into the Reaper, but also love cooking with it. If you enjoy a good burn, then you'll love these recipes made with the Carolina Reaper. You can't have fresh and fiery chile peppers in your kitchen without making a homemade hot sauce. This insanely spicy hot sauce recipe from Mike and Patty Hultquist uses not only the World's hottest pepper but also a mix of other super-hot peppers. In this recipe by Sugar Dish Me, the sweet-tart flavors of juicy red cherries combine with the fiery awesomeness of the Carolina Reaper. Additional complex flavor notes are added by allspice, honey, and sticky molasses glaze. 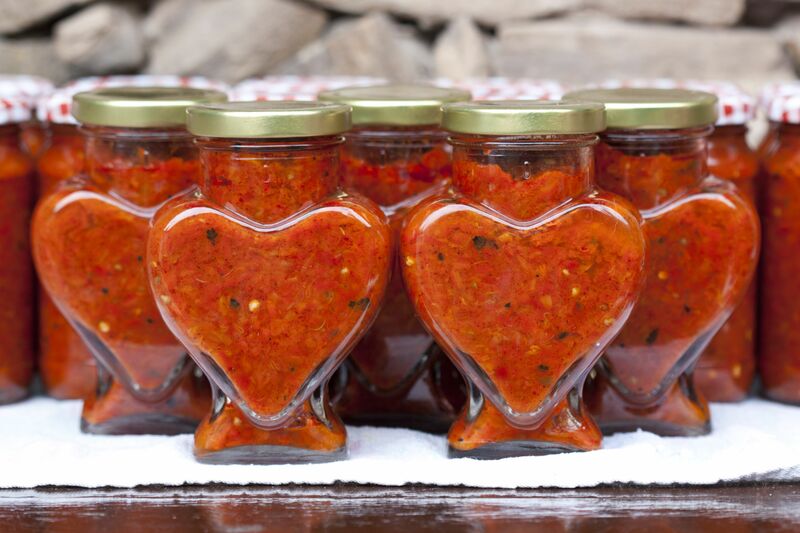 Now that you have the spicy and sweet jam recipe from above, you'll need to also try this spicy, smoky and sweet jam from Chili Pepper Madness. One of the mind-blowing ingredients is coffee. Serving suggestions are provided, like eating it with toast and cheese. This recipe from Firehouse Chili is touted to be the "Worlds Hottest Chili Sauce," and it is a contender. Instead of fresh or dried Carolina Reaper pods, this recipe uses dried Reaper flakes and capsaicin crystals. Interesting additions include fresh apple, brown sugar and cider vinegar. This infused vodka by Chuck From The Bronx will surely give your cocktails an insane amount of heat. This recipe calls for infusing the vodka for a total of five 5 months under refrigeration. This chili powder recipe by SpiceMixes would make a terrific addition to anyone's spice cabinet. It would be great sprinkled over some grilled meat or fresh vegetables. This beautifully orange-colored hot sauce recipe by Smoky Ribs BBQ & Southern Cuisine is one to make during mango season. Preserve some bottles to get you through until the next mango season. There is so much to love about this super creative recipe by Cooking With Keith. The complex flavors and not over the top heat makes this mac ​and cheese recipe an absolute must-try.